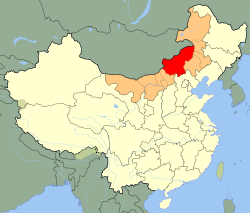 Located about 180 kilometers away from Beijing (běi jīng 北京), and 620 kilometers away from Huhhot (hū hé hào tè 呼和浩特), the capital city of Inner Mongolia, it is adjacent to the Outer Mongolia in the north and neighbors Zhangjiakou (zhāng jiā kǒu 张家口) and Chengde (chéng dé 承德) of Hebei Province (hé běi shěng 河北省) in the south. Within Inner Mongolia, it is close to Wulanchabu (wū lán chá bù 乌兰察布) in the west, Chifeng (chì fēng 赤峰), Xing'an (xīng ān 兴安) and Tongliao (tōng liáo 通辽) in the east. The league totally has an area of 202,580k㎡, with a population of 1,009,000, among which the Mongol takes up 30%. Featuring a typical temperate semi-arid continental climate, Xilin Gol suffers from strong wind, aridity and chilliness. Spring and autumn are short, wet and warm while winter is long and dry-cold. From May to August, the League enjoys about 45% of the solar radiation all the year round. It gets little summer heat and has an annual average temperature around 0 ℃-3 ℃ (32 ℉ - 37.4 ℉), with a mean minimum of -22.3 ℃ and a mean maximum of 18.8 ℃. Xilin Gol League is the cradle of China northern nationalities and played a very important role in the development of China nation`s civilization. In 1260, Kublai Khan (hū bì liè 忽必烈) (1215- 1294) established the very first capital of Yuan Dynasty in Kaipingfu (kāi píng fǔ 开平府) (Kaiping prefecture government office) which is about 20 kilometers northeast of the government of Plain Blue Banner, Xinlin Gol League and came to the throne at the same place. In 1267, Kublai Khan established the Grand Capital (dà dū 大都) in Yanjing (yān jīng 燕京) (present Beijing), and the former capital Kaipingfu was therefore renamed Upper Capital (shàng dū 上都) which means both earlier capital and northern capital in Chinese, and had once been the summer resort of Kublai Khan. As the auxiliary capital, the area still was the center of the Yuan (yuán 元) Empire for a quite long time. 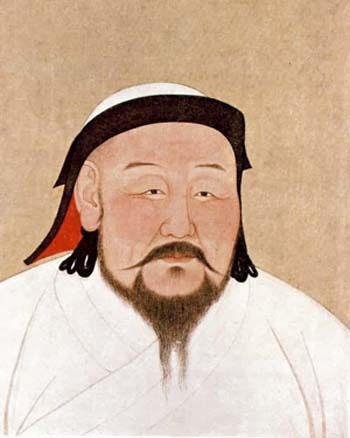 From 1206 A.D. when Genghis Khan unified Mongolia to 1260 A.D. when Kublai Khan succeeded to the throne and then changed the name of the reign into Yuan in 1271, the grassland of Xilin Gol became worldwide famous. Nowadays, the capital site has served as a valuable epitome of the nomadic civilization of the 13th and 14th century. In the Ming and Qing Dynasties, Xilin Gol remained a place which was inhabited by northern herdsmen. In 1675, after quelling the uprising by Buerni Brothers, the nephews of Lindan Khan`s grandson, the Qing Government began to take a hand in controlling Xilin Gol and divided it into 10 banners successively. During the reign of Shunzhi Emperor (shùn zhì dì 顺治帝) in Qing Dynasty (1644-1661), the ten banners formed an alliance around the Xilin River (Gol), hence the Xilin Gol League. Established as a city in 1983, Xilinhot is a new-born rising city on the Xilin Gol Grassland. As the seat of government, it is the political, economic and cultural center of Xilin Gol League. It is about 460 km (linear distance) away from Beijing and 470 km (linear distance) from Hohhot, the capital of Inner Mongolia. With a long history, resplendent culture and unique grassland scenery, it gains the reputation of the "sparkling pearl of the grassland". The city has an area of 18, 750 square km, with a population of 130,000, among which Han people take up the majority while Mongolians present their strong ethnic characteristics. There are 15 other nationalities inhabited in the city of grassland such as Hui, Manchu, etc. Originally, Xinlihot was named Beizi Temple (bèi zǐ miào 贝子庙), because in 1743, Emperor Qianlong in Qing Dynasty built a Lama temple which was called Beizi Temple here. 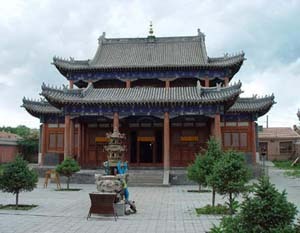 The temple nowadays is one of the largest temples on the Xilin Gol grassland. In 1953, the city was renamed Xilinhot while in 1956, Abahanaer Banner. 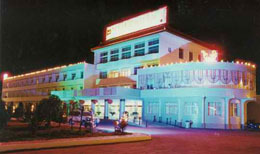 In 1983, it was set up as a county-level city by the state council. Xilinhot boasts lots of tourist resources, featuring charming ethnic lifestyles, for example, Beizi Temple (贝子庙), Baiyinxile Nature Reserve (bái yīn xī lè zì rán bǎo hù qū 白音锡勒自然保护区), Jiuquwan (jiǔ qū wān 九曲湾), Xilin Gol Racecourse (xī lín guō lè sài mǎ chǎng 锡林郭勒赛马场), Eerdun Aobao (é ěr dūn áo bāo 额尔敦敖包), Beer Fountain (pí jiǔ quán 啤酒泉), Pingdingshan Scenic Area (píng dǐng shān 平顶山景区), and Cultural Park of Mongol Yuan (měng yuán wén huà yuàn 蒙元文化苑). Beizi Temple, one of the largest lamaseries of Inner Mongolia, is situated in the north of Xilinhot, the prefecture of Xilin Gol league. It's called "Banzhida Gegen Temple" (bān zhì dá gě gēn miào 班智达葛根庙) in Mongolian and "Chongshan Temple" (chóng shàn miào 崇善寺) in Chinese respectively. Beizi Temple was built up in the 8th year of the region of Emperor Qianlong of the Qing Dynasty. It has been renovated by seven generations of living Buddha's. The whole temple is made up of seven Great Halls, five living Buddha's halls, five Buddhist pagodas and more than 30 store houses. The lamas' bedrooms are on the east and west sides of the temple and some bedrooms are at the back of the temple. The architecture of the temple gives people an impression of being magnificent, richly-ornamented and elegant. In each of the halls there are a lot of frescoes which reflect the history and life of the Mongolian nationality. The frescoes, which are true to life and quietly elegant in color, are of great value to the study of the Mongolian people's history and arts. Bayan Xile means "fertile mountain ridge" in Mongol. The eco-tourism area, located 55 km southeast to the Xilinhot City, covers a total area of 3,730 square km. The No. 303 national highway runs through it. It has plenty of water and lush grass. The wild fauna and flora are abundant. 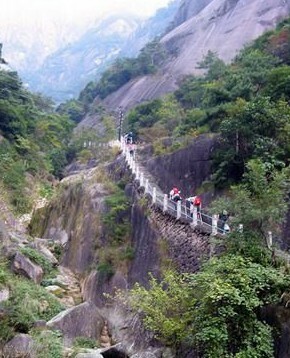 Its natural landscape and the scenery with human touches are of unique characteristics. The most representative attractions include: Zagyastail Lake (zā gé sī tài hú 扎格斯汰湖), sandy land, mixed forest of poplar and birch, sandy land dragon spruce forest, Habqil natural canyon, lava tableland, the grassland ecological positioning station of the Chinese Academy of Sciences, the race course, wildlife zoo and botanic garden. The region was designated by UNESCO as an integrated part of the Xilin Gol Grasslands (typical grassland ecological system) Biosphere Reserve, a project of the world Biosphere Reserve Network. Located some 20 km northeast of Dunlun County (duō lún xiàn 多伦县) where the government of Zhenglan Banner (zhèng lán qí 正蓝旗), Xilin Gol League, is located, the Shangdu of the Yuan Dynasty was designed by Liu Bingzhong (liú bǐng zhōng 刘秉忠), Kublai Khan's adviser of Han nationality. After four years' construction, it was completed in 1256. 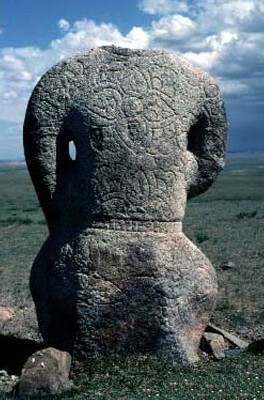 The design of the capital embodied the layout of a traditional Han city and at the same time took into consideration the habit of Mongolians' nomadic life style. In 1260, Kublai Khan succeeded to the throne here calling it Kaipingfu. In 1271, he named his reigning dynasty as Yuan and established the capital of Yuan Dynasty (1271-1368) in present Beijing. The Kaipingfu was therefore renamed as Shangdu, and had since become the summer resort of Kublai Khan. The site of Shangdu is now under state protection. Located 15 km southeast to Xilinhot City, Xilin Gol League, the holiday resort covers an area of 9 square km. It is in a flat and open country with luxuriant grass and a quiet environment. 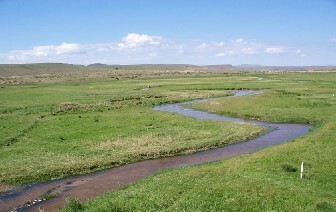 It is a typical section of the Xilin Gol Grasslands. The resort boasts 50-plus Mongolian yurts of various styles. 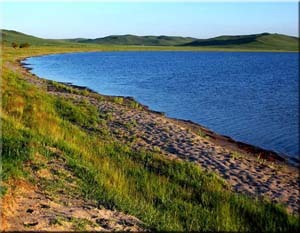 Erenhot (usually be shortened into Eriyen, Ereen or Erlian) is located right in the north of Inner Mongolia Autonomous Region and is merely about 9 km away from the city of Zamyn-Uud (zá mén wū dé shì 扎门乌德市) in Mongolia. 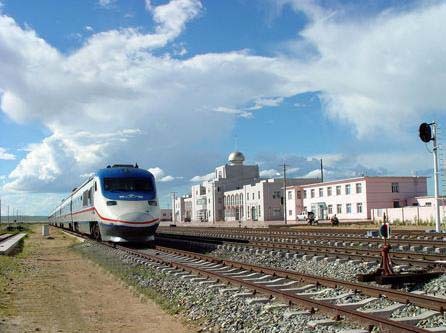 With prominent location, Erenhot serves as the biggest port of roads and railways to Mongolia. It has an area of 4,015 square km and a population of 100,000. Ereen which is Mongolian transliteration means mirage. In January, 1956, Erenhot came into being because the international train going from Beijing via Ulan Bator to Moscow was put into use. In January, 1966, the State Council approved to make Erenhot a city. In July, 1992, the State Council ratified it to be one of the 13 opening-up cities along the coast. 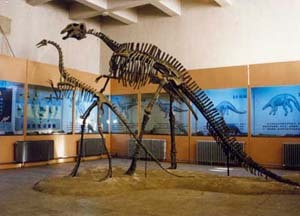 The city is worldwide famous for the hometown of dinosaur and is the earliest city in China which was listed into the international biological history records. 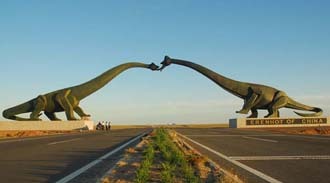 8 km away from the city center lies a place full of dinosaur fossils which once attracted archeologists from many counties to research and exploit the resources. Located on the Xilin Gol Grassland, there are lots of extraordinary sceneries in Erenhot such as the National Gate, Mere Stone, Relics of Fossils, etc. 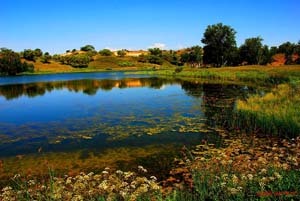 Besides, the city of Zamyn-Uud is full of exoticism and is also worth a visit. 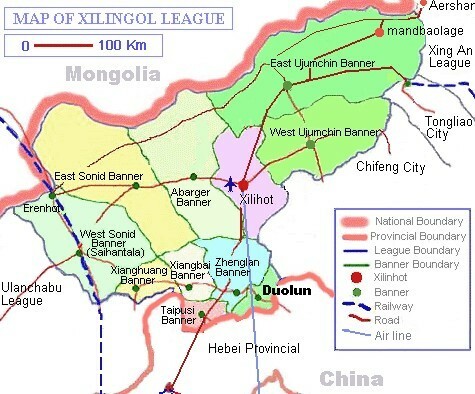 Duolun County is located in the central area of the Inner Mongolia Autonomous Region, in the southeast of the Xilin Gol League. Lying against the prairies and overlooking Beijing and Tianjin, Duolun has a total area of 3,773 square kilometers with a population of 100,000. It is the nearest county in the Inner Mongolia Autonomous Region, 180 kilometers from Beijing. 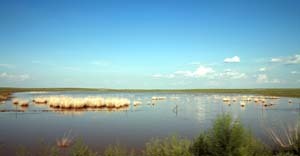 The name of the county means "seven lakes" in Mongolian, for it once had seven pools in its boundary. 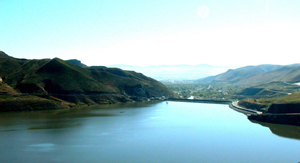 It has varied natural landscapes of mountains, hills, river valleys, beaches and forests and many beautiful places such as Huhen Lake (hū hén hú 呼痕湖), Shuangshan reservoir and Dahekou (dà hé kǒu 大河口) Hydropower Plant. 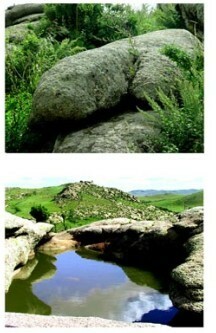 Duolun is well-known for its rich water resources. It has 47 rivers and 62 lakes. The total water area is up to 10,800 hectares. So it is also called the "city on the water". Sonid Left Banner is usually called East Sonid Banner. It is situated in the northwest of Xilin Gol Grassland which is one of the four natural pastures in China. It is adjacent to Abaga Banner (ā bā gǎ qí 阿巴嘎旗) in the east, Sonid Right Banner and Erenhot City in the west, Plain and Bordered White Banner and Plain Blue Banner in the south and borders on Mongolia in the north, with a national boundary line being 316 km. 96.7 percent of the Sonid Left Banner is grassland while the rest are hills, sandy areas and lowlands. There are dozens of lakes, with different sizes of springs being scattered everywhere. The banner enjoys a semiarid continental climate and has not much rainfalls but abundant sunlight. The name of Sonid Left Banner derives from the Sonid Clan (one of the four clans in Xilin Gol). According to historical records, the clan lived a nomadic life in Eeregonggalute and Nagalinabuqitu areas in the early 1630s. In 1636 in the Qing Dynasty, the leader of the clan led his army southward and claimed their allegiance to the Qing government. In 1641, Qing government established the Sonid Left Banner and Sonid Right Banner which are still in existence today. Sonid Left Banner totally witnessed 35 kings within 305 years. In July, 1946, the people`s government of Sonid Left Banner was set up and the seat of government was built in Mandalt. The long history has bred the splendid culture for the banner. An extraordinary form of national culture- Sacrifice to Aobao (áo bāo 敖包) came into existence due to the limit of the geography and climate. 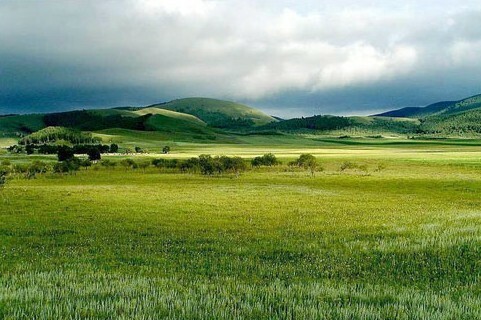 There are totally more than 30 Aobaos presenting the most beautiful scenery on the grassland. During the sacrifice to the Aobao, except for unique ceremonies praying for the rain and good luck, there are lots of folk activities such as horseracing, performances, etc. 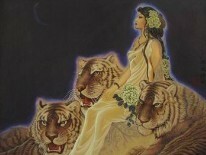 The banner has a great variety of beasts and birds, wild animals and precious mineral resources. It is the hometown of camels. Sonid camel is one of the old camel species, among which the white camel is the scarce one and is considered as the auspicious animal as it enjoys great popularity among the locals. Besides, the banner is also where the Sonid sheep, which is famed as "the ginseng among meat", are produced. 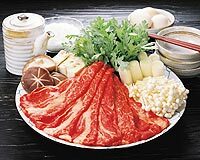 Donglaishun (dōng lái shùn 东来顺) (a well- known Chinese hot pot brand) gains its fame all because of the Sonid sheep. Moreover, lots of wild animals such as swans, bustards, antelopes and so on make here their home, adding more vitality and vigor to the Sonid grassland. 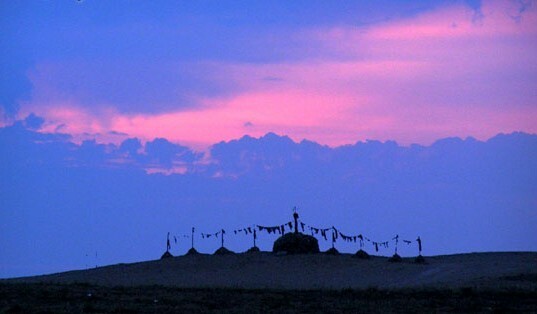 East Sonid Banner is rich in historical relics, including Hongor petrogram (hóng gé ěr yán huà qún 洪格尔岩画群), stone forest area at Baodeerchaolu (bǎo dé ěr cháo lǔ shí lín qū 宝德尔朝鲁石林区), Temple of Chagan Aobao (chá gānáo bāo miào 查干敖包庙), and Turkic Stone Figurines (tū jué shí rén 突厥石人). The Mongolian knife can be commonly seen in Mongolians` daily life especially when they eat meat or slaughter animals. Mainly used as a living utensil, it is sometimes served as an implement of production. Generally speaking, the body of the knife is made of extra fine steel while the handle and the scabbard are exquisitely made of steel, wood, silver, ox horn, born, etc, some of which are even inlayed with silver, copper or gem patterns. Paper cut enjoys great popularity in Dolon County, Xilin Gol League. It is one of the traditional folk art for decoration. 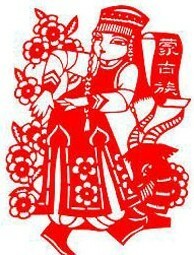 The paper cut has a variety of patterns, including auspicious characters, horse, ox, dog, cat, yurt, Mongolian robe and so on. Nowadays, it is more widely used as decoration on the wall, windows, mirrors, or lanterns. It is also a good choice to present it to friends as a gift. 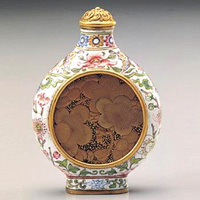 It is said that the snuff bottle was introduced into China by the Italian missionary Matteo Ricci‎ during the reign of Wanli in Ming Dynasty and became popular afterwards. 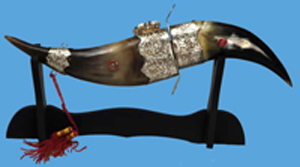 The Mongolian snuff bottle is hailed as the elaborate product among the Mongolian stuffs. The creation of leather painting is sparked by the ancient and extensive grasslands where Mongolians lived nomadically and grazed their cattle and sheep from generation to generation. Originally, most of leather paintings were leather maps and simple decorative paintings made of sheep skins. Nowadays, it makes good use of the modern folk art techniques while still keeps the traditional primitive simplicity, both of which make the leather painting being a valuable hard-won present and an elegant interior decoration. Tianhong Exquisite Goods Store is situated in the busiest shopping center of the city and is a designated shop selling goods to foreign shoppers in the city. It sells daily necessities full of local flavor and handicrafts including knives, arrows, tea sets, gold and silver utensils, headdresses and jewelry. All of them demonstrate a strong flavor of local ethnic groups. To Xilin Hot Airport: 20 minutes. To Xilin Hot Airport: 10 km. Xilinhot Airport is situated in the western part of Xilinhot, the government seat of Xilin Gol League, and is about 7.5 km from the city center. It operates daily flights to Beijing, Hohhot and Hailar (hǎi lā ěr 海拉尔). In high season, flights to Dalian (dà lián 大连), Guangzhou (guǎng zhōu 广州) are available. There are also some provisional tourist flights to other big cities. 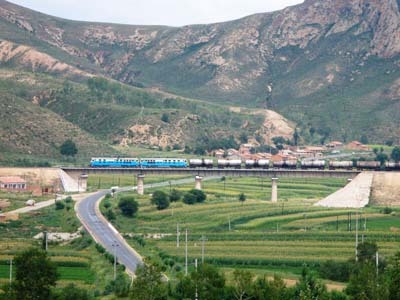 Connecting the railway system in Outer Mongolia, the four railways in Xilin Gol League go to Hohhot, the capital city of Inner Mongolia and to other leading cities in the league. There is an express train going between Xilinhot and Hohhot. The train going from Xilinhot to Hohhot is A298, leaving at 10:37 am and arriving at 21:30 in the evening while the train going from Hohhot to Xilinhot is A297, leaving at 22:00 and arriving at 08:21 next day. There are three national highways and eight provincial highways going through Xilin Gol. The road transportation in Xilinhot is especially well developed with 2 national highways and many provincial highways connecting all cities in the league, Beijing, Shenyang, Tianjin, and Shijiazhuang (Hebei Province). Located on Nadamu Street (nà dá mù dà jiē 那达慕大街), Xilinhot Bus Station is the transportation hub of Xilin Gol. Near the railway station at the junction of provincial highways No.101 and 207, the western station mainly operates buses to places inside Inner Mongolia.